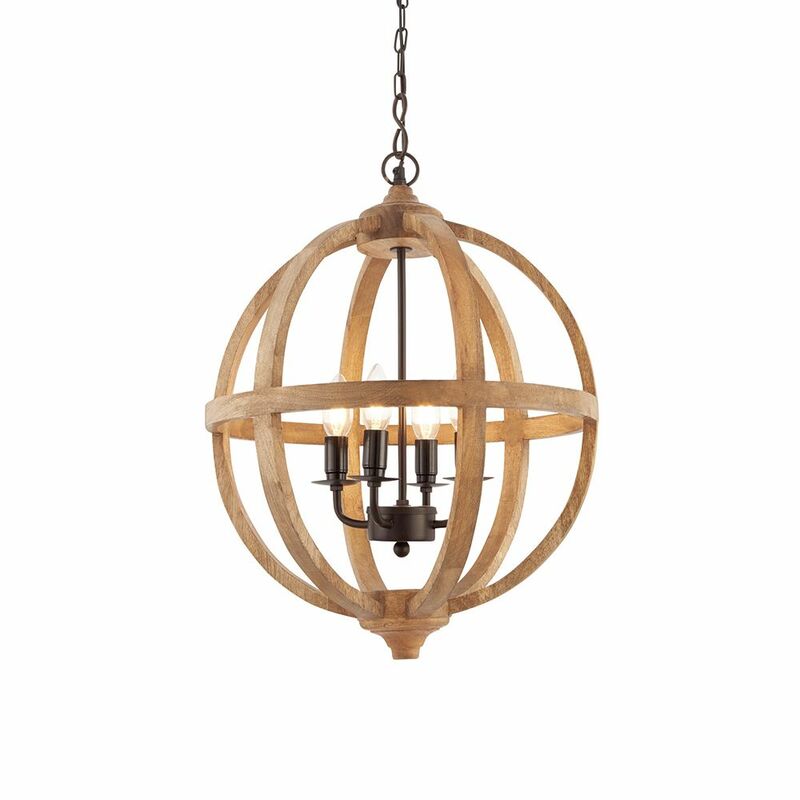 The Toba 4 light pendant is made from natural mango wood hoops which create a globe shape and house a brown painted fitting. Height is adjustable at time of fitting. This light is dimmable and suitable for use with LED lamps. Write an online review and share your thoughts with other shoppers! Massive Lighting has been collectively active in the lighting industry for over 25 years making Massive Lighting a reputable name in lighting design, lighting manufacturing, lighting supply and lighting installation. Here at Massive Lighting we believe that you as the customer desire great lighting at great prices from all leading manufacturers. Lighting is often overlooked and that is why here at Massive Lighting we offer a lighting design service to cater for all your lighting requirements, from small domestic dwellings to football stadiums no lighting project is to small or indeed to “massive” just another day in paradise to our design team who rise to the challenge every time. Massive Lighting know that light changes mood and atmosphere, extensive research into how lights and lighting make a massive change to us has been carried out by Massive Lighting resulting in the knowledge that we believe you can feel the light as well as see the light. :Disclaimer: We are not Signify (Formerly known as Philips Lighting) or part of Signify (Formerly known as Philips Lighting) we are independent lighting specialists as described above, if you require Signify (Formerly known as Philips Lighting) or information based on Signify (Formerly known as Philips Lighting) products we are unable assist you. massivelighting.co.uk (site & domain name) are the sole property of the illuminician but used for trading under licence by Chill Ltd.